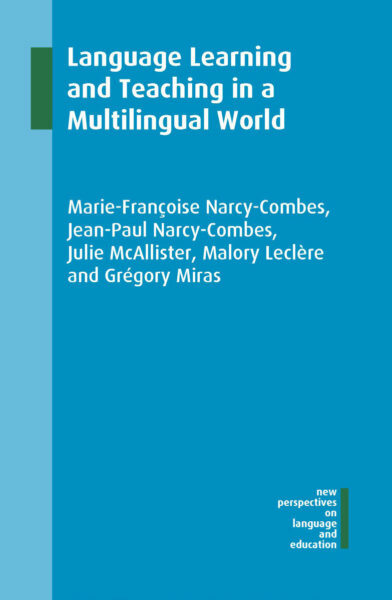 We would like to announce the latest title by Marie-Françoise Narcy-Combes, Jean-Paul Narcy-Combes, Julie McAllister, Malory Leclère and Grégory Miras: “Language Learning and Teaching in a Multilingual World”, which is due to be published by Multilingual Matters in March 2019. Our best wishes and felicitations to the authors! The new book proposes a flexible and adaptive framework for designing and implementing language learning environments and tasks, which will be useful for practitioners working in classrooms where many languages are already spoken. The framework is based on a review of current research and an examination of case studies from around the world. For further information, and a very generous discount on ordering it, please see the book’s official flyer and the corresponding webpage at Multilingual Matters. In the last two years, Langscape members Stephan Breidbach and José Medina were involved in a EU-funded project focusing on bringing together methods and activities from Drama Pedagogy and Content and Language Integrated Learning: playingCLIL. The main product of this project is now available online: a substantial e-book compilation of annotated interactive games ready for use in content matter classes taught through a foreign language. Whilst the full version of the handbook is available in English, executive summaries of the handbook also exist in three further languages for easy dissemination: German, Romanian, and Spanish. Click here to access the project website and have all the materials at your fingertips completely free of charge! All three formats are available on demand. There will be a conference on “Sociocultural Competence & Multilingual Education” at the Vrije Universiteit Brussel on September 19-20, 2014. The conference will be co-hosted by Langscape and co-organised by Katja Lochtman, who is currently on the Board of Directors for Conferences & Expert Meetings. There are also plans to have a meeting of the Board of Directors and R&N Consultants concomitant to the conference. A call for papers and further information on the event will follow during the summer break, presumably by mid-August. The ECML has opened a call for applicants for 3-month fellowship from 1 October – 23 December 2013. Application deadline is August 15, 2013.